1.Fire-proof material:over 4 hours, which ensures the security of the whole building. No shape change even in 1100 degree fire. 3. Sound& thermal insulation: Easy and comfort would not be disturbed by outside factors. 4.Lightweight: 51kg/m²,low transportion and engineering costs. 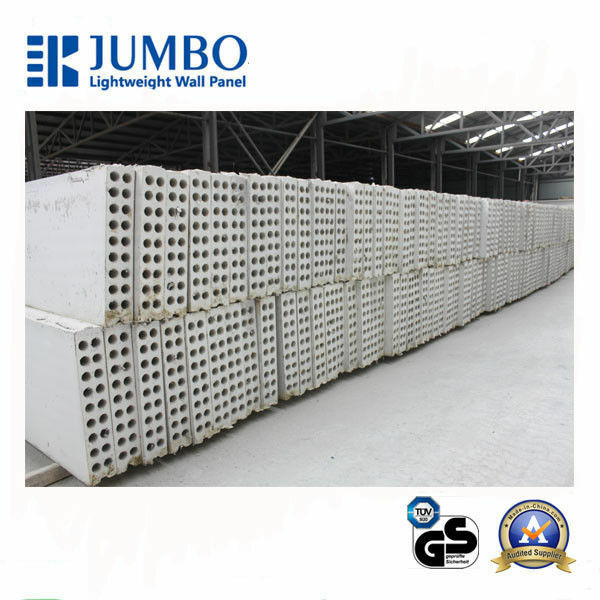 Jumbo lightweight wall panels are widely used as interior walls for commercial and industrial buildings and also are great replacement of blocks. 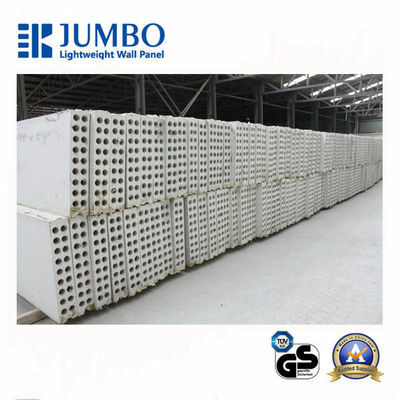 Jiangsu Jumbo Buliding material Technologies Co.,Ltd is a professional manufacturer of lightweight wall materials as well as a provider of relevant applications. We are located in Changzhou City in Jiangsu province. For now we have two production bases,which ensures a capacity of 1.6 million square meters each year. We always focus on new materials and new applications, and we also coordinate with relevant universities and institutes.All products with “Jumbo” brand have passed all tests of physical stability,fire-proof and sound insulation.